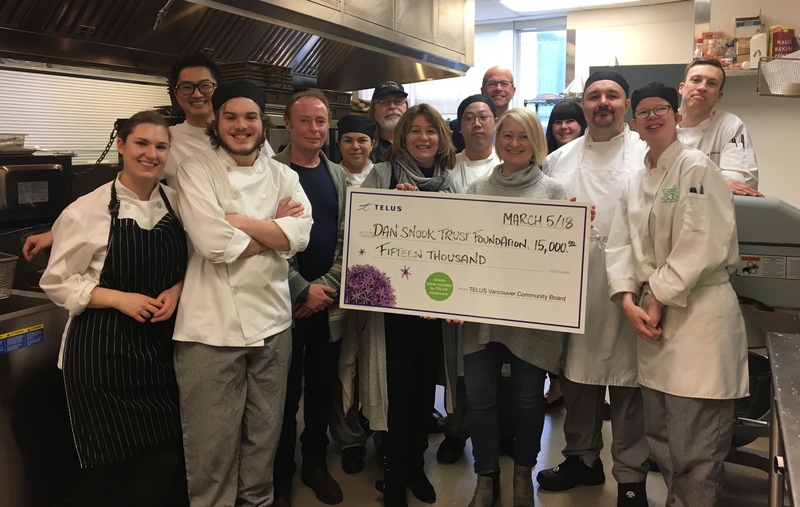 On Monday, March 5, Allan Seckel, CEO of Doctors of BC and Board Member, TELUS Vancouver Community Board, presented a cheque for $15,000 to Dan’s Legacy in support of the charity’s therapeutic counselling program for students enrolled in the Coast Mental Health Culinary Skills Training Program. Staff and students treated Mr. Seckel and representatives from Dan’s Legacy and Coast Mental Health to lunch and a tour of the facility. 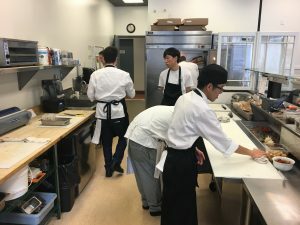 Dan’s Legacy provides therapeutic counselling and life-skills intervention programs to youth affected by trauma-based mental health and addictions issues. In the past three years Dan’s Legacy has helped over 150 youth meet their educational, housing and life goals. 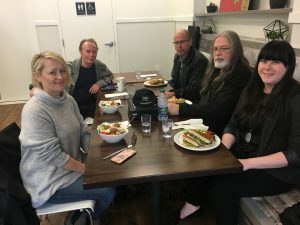 The TELUS Vancouver Community Board was founded in 2005, with a recognized need that with each unique community comes unique needs. Since 2005, the TELUS Vancouver Community Board has donated $9.4 million and supported nearly 800 grassroots projects, charities and organizations. 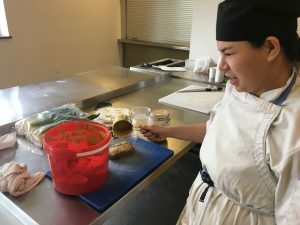 For more information on the Culinary Skills Training Program contact Glen Lamont, Program Coordinator, at glen.lamont@coastmentalhealth.com. If you or someone you know is asking for counselling support, contact Tom Littlewood, Dan’s Legacy’s Program Director, at tom@danslegacy.com.